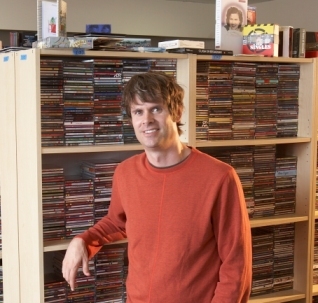 I’ve always liked how outspoken Tim Westergren of Pandora is. He’s not one of those all-too-common founders who puffs up his chest and gives rationalizations for why everything is great even as user numbers are sliding or a competitor is stealing momentum. When his company is in trouble—which Pandora was for most of its life—he’ll tell you in excruciating detail, even down to ugly employee lawsuits. And that’s worked to Pandora’s advantage. Westergren did such a good job of warning the site’s rabid fans that the RIAA may be running it out of business that those fans actually broke fax machines on Capitol Hill with complaints. Westergren gets what a lot of entrepreneurs don’t: It’s about survival, not ego. That’s especially true when you’re an online music company. Of course, today Pandora is sitting pretty thanks to a hard work and a serendipitous one-two-three punch. Punch one: The iPhone app, which changed the nature of Internet radio by making it mobile. Punch two: A nice $35 million round of funding from top investors. Punch three: Finally a reasonable settlement from the RIAA. Most interesting were Westergren’s comments about advertising. As you can see in the clip below, the show’s host, Scott McGrew, and my co-panelist, NPR’s Laura Sydell, claim to be huge Pandora fans but couldn’t seem to remember hearing many ads. Said Westergren: That means we’re doing it right. He said when he talks to Pandora users they always say they don’t hear many ads, and they don’t think they interact with the site much. In reality, users are hearing a good number of ads and most go to the site six times per hour to thumb up and down ads, where they get served another visual ad. “[Users] are always shocked to hear the actual data,” he said after the taping. “I think it’s because the interaction doesn’t feel like work. It’s a natural instinct tied to the ability to affect the listening, and it’s rewarding.” He added that click-through rates are way above industry average, which he credits to knowing each user’s taste so well. Depending on the product it can be ten times greater than the industry average. Pandora also has more creative ways of advertising. Westergren also talked off camera about a recent gig in LA for Aimee Mann. Pandora sent an email to users in driving distance of the club that it knew loved her music and the venue quickly filled up. “Can we do this every night?” the club owner panted. Pandora didn’t charge the club anything for this, but there’s clear opportunity to do so. This kind of promotion plays directly to Pandora’s strengths especially now that it’s on iPhones, Palm Pre and Android. While people gush today about Spotify’s ability to play your music on any device and its a beautiful UI, Pandora’s offering has always been about discovery. The heart of it is the “Music Genome Project,” which analyzes why you like a song and gives recommendations based on the song’s inherent characteristics, not what other people who liked that song also enjoy. Pandora may just be hitting on that much-talked-about but mostly elusive online advertising Holy Grail: Ads that users actually want. If they pull it off, and avoid the far-too-crowded online music graveyard, Pandora will be a textbook case for why execution matters more than vision in tech.